Do actors still ask that question when rehearsing for a part? I have no idea. 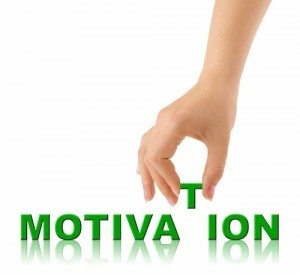 But this word – motivation – looms large in my vocabulary because it lies at the crux of my quest. …as a Christ follower? To be healed, whole and free. To be informed, encouraged and inspired. To be a good steward and to honour Him with every part of my life. What’s my motivation… as a woman? To be whole, wise and well-balanced. To love people in ways that affirm them. To be safe, to take care of myself and others. To enjoy my home and my life. What’s my motivation… as a human being? To bless as I am blessed. To make a difference to people in my circle of influence – family, friends, church, local and worldwide neighbours. To learn here and now what I will need to know forever. Within each of these aspects of myself, are specific goals I wish to achieve. As a Christian, I want a closer personal relationship with Jesus. As a woman, I want to be healthy and whole, physically, emotionally and spiritually. As a human being, I want to be the best version of myself. The most important task of your life is not what you do but who you become, says John Ortberg. Keeping in mind that goal – which spans the 3 categories specified above – I am rereading John Ortberg’s book “the me I want to be > becoming God’s best version of you”. You are not me. I am not you. God created each one of us to be unique individuals. He gave us strengths and weaknesses, talents and abilities, gifts and opportunities to develop and use them. He made us in His image and gave us the gift of community, so we can share the journey, walk together. Learn and share, encourage and be encouraged. In the next segment, we will look at what “finding my identity” means, and learn why God made you. We will also reflect on how we get sidetracked and often become versions of ourselves that we really do NOT want to be. Socrates said that “an unexamined life is not worth living.” I recently reblogged “An Examined Life” by Bill at http://unshakablehope.wordpress.com because this quote is part of my motivation. Gallery | This entry was posted in Balanced living, Emotional health, Living by faith and tagged becoming the best version of yourself, Christian living, flourishing, john ortberg, motivation. Bookmark the permalink. 1 Response to What’s my motivation?